Rudding Park is an award winning hotel situated in Harrogate, North Yorkshire. It is a privately owned luxury hotel, spa and golf course set in 300 acres of beautiful parkland. The Grade 1 listed Regency house incorporates 21st-century comforts by fusing contemporary design with traditional elegance and offers a range of experiences to suit all tastes. The stylish 90 bedroom hotel also features a spa and private cinema. There is literally something for everyone at Rudding Park to help you relax – for the more active people you can complete a round or two of golf on their two golf courses, work out in their gym or simply go for a walk around the surrounding areas. For those who prefer to do as little as possible you can enjoy a relaxing spa treatment in one of the four treatment rooms, which includes a hammam, beauty area, steam room, experience shower and two relaxation areas, taste delicious food in the award winning Clocktower restaurant or stay in bed in one of the spacious rooms as long as humanly possible. Budock Vean is a privately owned, family run luxury four-star hotel nestled in 65 acres of organically managed sub-tropical gardens and parkland on the banks of the tranquil Helford River. This is another hotel where there is something for everyone – from golf, tennis and snooker to relaxing in the indoor pool, sauna and outdoor hot tub. The challenging nine-hole/18-tee golf course is set in mature parkland with the first tee a few paces from the hotel’s golf bag room. The seventh on this interesting course was until recently the longest par 5 in the county and the ninth green, “The Flower Bowl” is one of the finest short holes in Cornwall. Climatic conditions are so mild that the course plays exceptionally well all year round and is rarely closed because of bad weather. The leisure facilities include the 15m indoor pool, with open log fire, and sauna. Doors from the pool open out onto a decking platform, which houses the new deep lounger spa or hot tub. 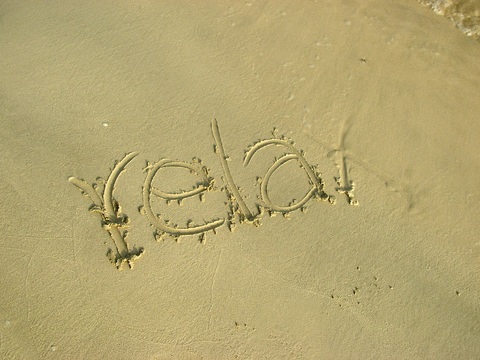 33 water jets and 14 air pepper pots work in synergy to provide effective relaxing hydrotherapy treatments. Along with all the facilities at the hotel, the location really adds to the tranquility. The Helford River is said to be one of the most tranquil and relaxing areas in the world. The hotel recommends taking a good book down by the Helford River and relax on the foreshore in the sun lounge and watching the world go quietly by. Lounge service is available and oysters and Chablis can be pre-ordered for a special occasion. From their jetty you can go fishing, take the ferry to a waterside pub, have a walk along Frenchman’s Creek or go out and explore the Helford River aboard the 19-foot open boat, the Hannah Molly. The Lakeside Hotel is a luxurious four-star hideaway in the heart of the English Lake District. The hotel offers a range of relaxing activities, from spa treatments and a swimming pool to walking and exploring the beautiful surrounding area. The pool and relaxation area are visually stunning and filled with natural light and space. Set beneath the roof garden, the 17m pool overlooks the lake. Etched glass panels of Lake land landscapes create an elegant poolside setting, complete with classic Swedish sauna and eucalyptus steam room. If you find walking and being surrounded by the great outdoors relaxing, then this really is the hotel for you. 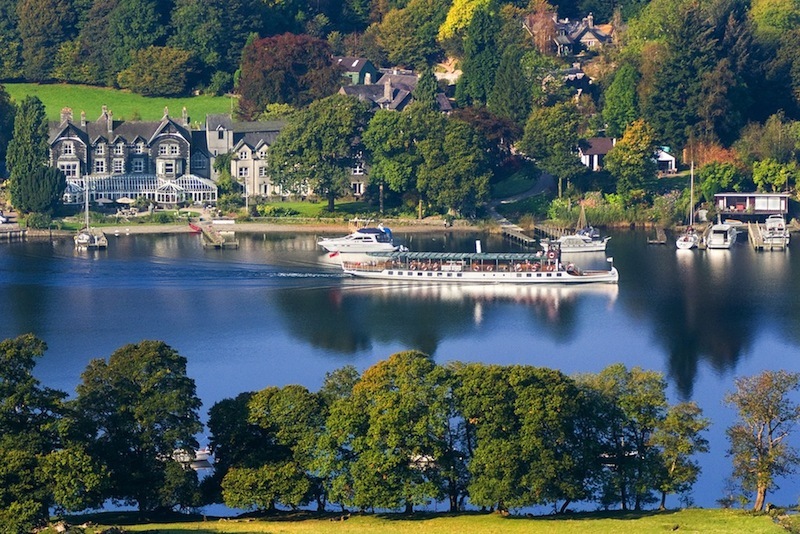 The Hotel looks out over lake Windermere, which you can walk round or even cruise on. The Lakeside has recently joined The Electric Bicycle Network and have two bikes available to hire. The scheme provides the perfect way to explore the hills, lakes and fells of Cumbria’s renowned landscape with the subtle but powerful assistance of an electric bike – without the strain of steep inclines.